Out running errands this afternoon, I saw this dramatic bit of sky as I looked to the north. To the south, bright blue skies with puffy white clouds … and the weather had been perfectly gorgeous this morning. This storm is just passing by from what I can tell, but bringing cooler temperatures along with it for the weekend. Ah weather. It is always interesting. 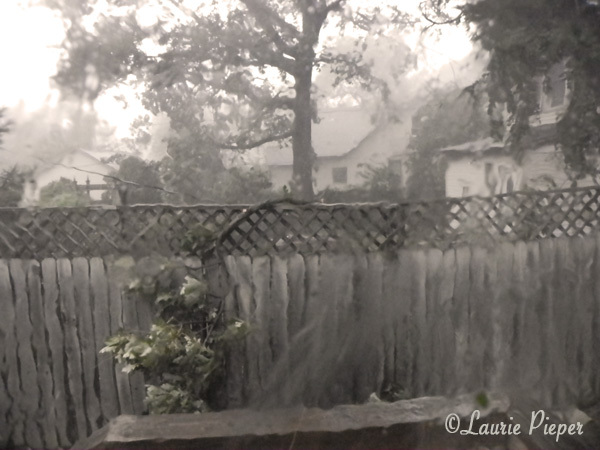 This is a photo that I took two years ago during a late afternoon summer storm. I think that it has a dream-like quality. That storm brought down several trees on our block. Though I don’t wish to see that repeated, we could use the moisture. Recently, we’ve been hot and dry here in Kansas. The very thought of rain seems like a dream.